Officials from Portland Public Schools are telling the community that they will not report students to immigration enforcement officials, and say their schools are a "safe haven" for children and families. In a written message to families last week, Portland Supt. Xavier Botana said, "We want your children in our schools. We don't care what their immigration status is. And we believe that that's not just the right thing to do, but that's also the law." That message, comes in response to comments made last week by U.S. Education Secretary Betsy Devos. DeVos told a congressional committee last week that she felt schools could decide whether to report undocumented students to federal agencies. Botana says the district believes those comments go against the constitution and long-standing Supreme Court rulings, which say that public schools cannot deny education based on immigration status. "Legally, that's the way that it has to be," Botana says. "But also, if there's any doubt, and if it is up to us, we want our families to understand that that's where we stand." Botana says he and staff have heard from many families over the past few years who are worried for their own safety. Last year, the district passed a policy declaring itself a "safe haven" for students or families threatened by immigration enforcement. The district is the most diverse in the state, and nearly one-third of students are non-native English speakers. Portland's school board passed a policy last year declaring the district a "safe haven" for students and families who were threatened by immigration enforcement. 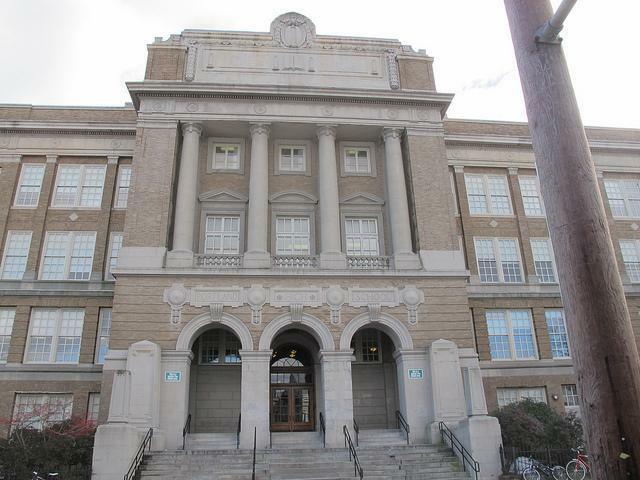 Lewiston school officials say the issue hasn't boiled up in the same way in their city. However, Supt. Bill Webster says he would not report student information to immigration enforcement, absent any action from the school committee.